Yesterday the Boston Celtics made a giant splash in free agency landing Atlanta Hawks center Al Horford to the tune of 4 years and $113 million dollars. Horford was one of two major targets along with Kevin Durant for the Celtics this summer in an effort to completely swing the fate of the franchise. 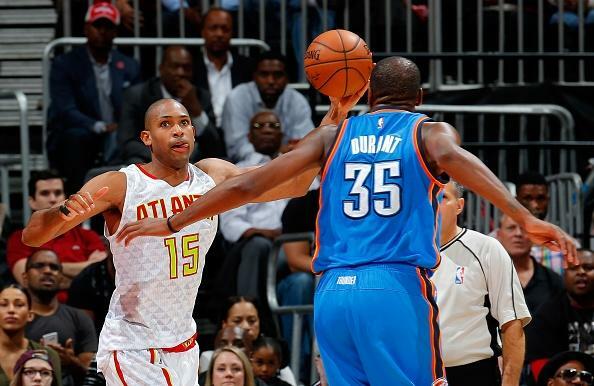 There is a non-zero chance that Durant follows Horford to Boston. Look, the betting odds are still absolutely on Durant returning to Oklahoma City for at least another year, but a man can dream right? The addition of Horford makes the Celtics really good. The addition of Durant would make them championship contenders. Please, just please, let this dream come true. Come on home Kevin.